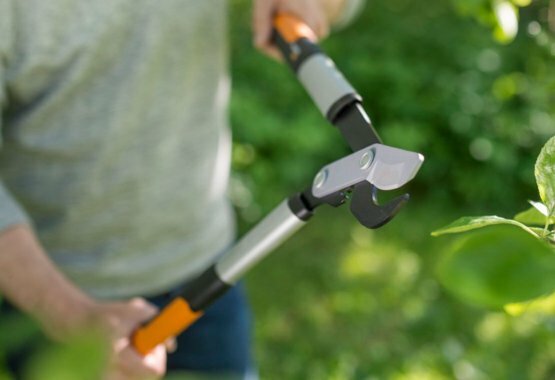 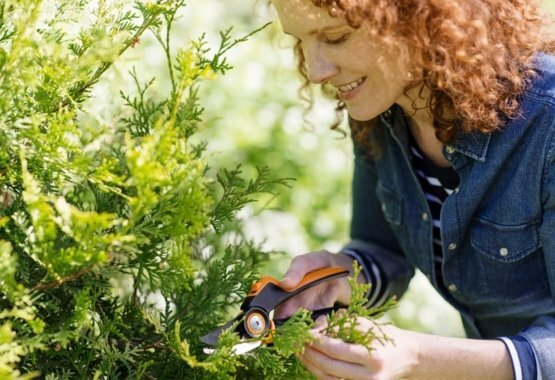 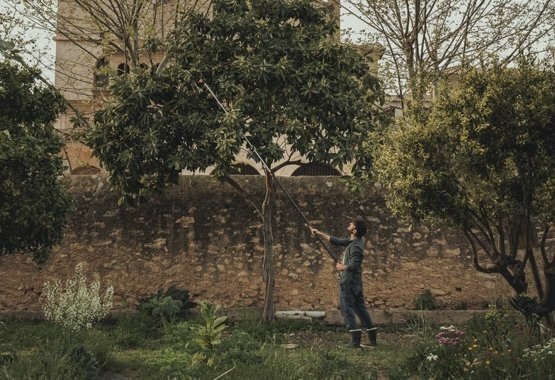 Fiskars’ new PowerGear X™ tree pruners have been developed to extend the cutting power when cutting very high and low – the telescopic version reaches branches at up to 6 meters. 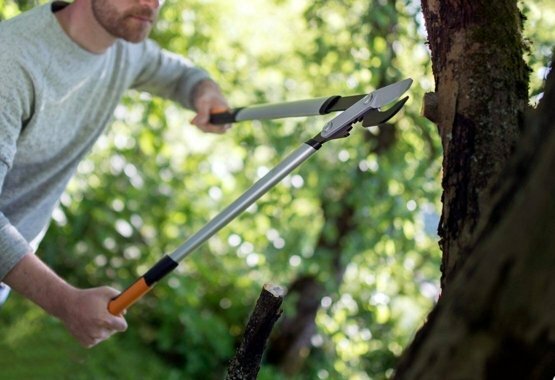 Cutting at such heights requires both precision and strength. 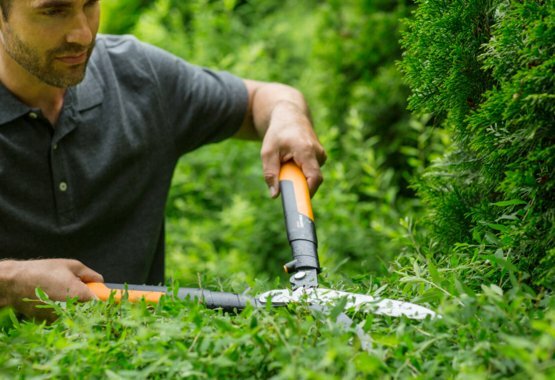 The PowerGear X™ tree pruners have an orange blade for improved visibility, and a cutting angle that can be adjusted up to 230°. 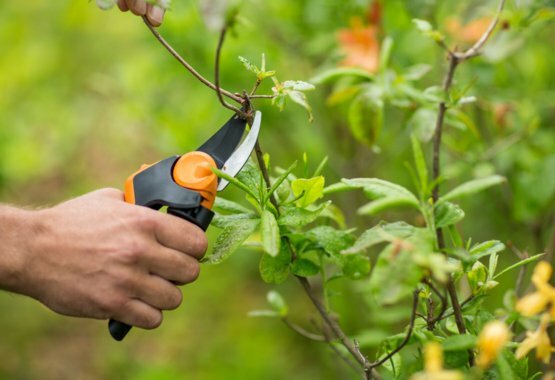 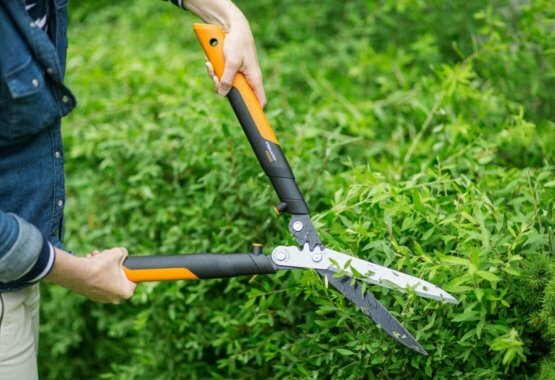 The cutting mechanism makes cutting up to 12 times easier than with standard mechanisms, allowing for effortless and exact high-level pruning.